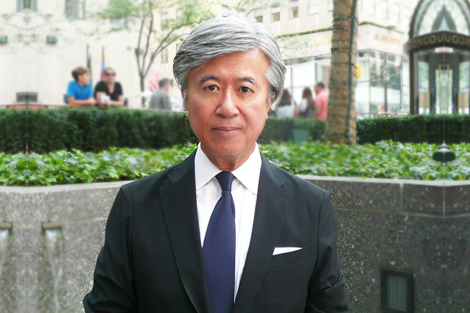 Masazumi Nakayama (“Nak”) has joined Galileo Global Securities LLC in New York as a Managing Director. Prior to this position, he was a Managing Director for Citigroup at Global Corporate and Investment Banking serving the firm since April 1982. Before joining Galileo Global Securities, he was a banker covering multinational institutional clients in Japan and United States for 26 years. During this position, he was the head in charge of managing multinational corporate clients in Japan and Japanese global companies operating in The Americas since 1988. During this period, he had the opportunity to grow revenue of Citi’s Japanese Business in US from $4MM to over $100MM by leading corporate banking cross-selling, investment banking, corporate finance and transactional banking products and services in U.S. Notable transactions during this periods are: 1) Financial Advisor for restructuring of Japanese global tire manufacturers, 2) Claim administrator and advisor for $1 Billion settlement in US Class Action by Japanese technology company, 3) Financial advisor for construction of US nuclear power reactors Japanese industrial conglomerate with US utility company, 4) Financial advisor for DIP finance for Japanese steel company operating in US, 5) Exclusive wholesale/retail leasing programs for large forklift manufacturers, 6) Securitization of music catalogues of Beatles owned by US artist. From 2011 -2016, Developed elevated level Japanese governmental relationship to provide advice for infrastructure projects which involve Japanese Government such as US-High Speed Rail (Florida), US Marine Housing Project in Guam and sales finance of Mitsubishi Regional Jets to US Regional airlines. He received the Citigroup Chairman’s Club Award in 2000 and Best Account Manager Award while in the Global Relationship Banking Group in 2005. Also, he is Managing Partner of Park Avenue Advisory Group, LLC, consulting company specialized in US-Japan bilateral business and policy issues. He was awarded Citibank Employee Scholarship Program for full-time MBA in 1986-1988 to study at NYU Stern School of Business. In the US, Masazumi Nakayama is a securities principal registered with FINRA, holding series 63, 79. He has been an adviser to the HighQuest Partners LLC since 2016 and member of The Nippon Club. He is the founder of Park Avenue Advisory Group, LLC and US-Japan United Foundation supporting a long term sustainable prosperities of Japanese companies operating in U.S.
A naturalized American citizen born in Nagasaki, Japan, Nakayama earned his M.B.A. at NYU in Finance in 1988. He has a B.A. in Business Administration from Aoyama Gakuin University. Before that, he served as a cadet National Defense Academy of Japan Self-Defense Force, Yokosuka Japan.